Located in the West Midlands, Shirley is a district within the Metropolitan Borough of Solihull. With a population of around 35,000 across the residential and shopping neighbourhood, there’s a thriving property market in the area. At My Home Move Conveyancing we’ve been developing our knowledge of markets like Shirley’s since 2001, allowing us to bring our clients in the area a leading, fixed fee conveyancing service. When buying or selling property in Shirley, you need to instruct property lawyers to carry out the legal work for you. 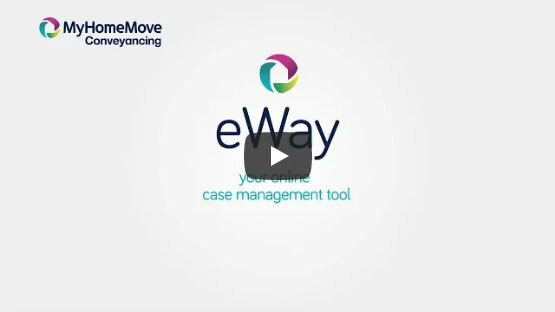 My Home Move Conveyancing offers our clients in Shirley an award winning level of customer service, revolutionary use of technology and intimate knowledge of the local market. Our fixed fee conveyancing service comes with no extra hidden costs to worry about. When you choose us to be your Shirley conveyancers, you’ll know exactly how much you’re going to pay right from the start. For extra peace of mind, if you don’t end up completing, then you won’t have to pay us a thing in legal fees. We’ll assign you a dedicated conveyancer, who’ll take care of all aspects of your case right through to completion. You’ll have a consistent point of contact and regular, easy to understand updates, as well as online access to your account. At My Home Move Conveyancing we proudly and professionally assist homebuyers with our conveyancing services in Shirley, whether you want to be close to the train station in the west of the district, nearer to Solihull in the east, or in a neighbourhood such as Hasluck’s Green, Hall Green or Kineton Green. The average house price in the borough of Solihull is £263,968, while the overall average sale price in Shirley was £275,051 over the last 12 months. Most sales in this period involved semi-detached properties, which went for an average of £265,593. Detached houses fetched £402,070 and terraces sold for £248,285. The local area’s history stretches back to the Iron Age when there was a hill fort at Berry Mound, which is part of West Shirley and dates back to the first century BC. Shirley grew slowly from its origins as a small village, with a church built in 1831 before rapid development at the end of the century and in the early 20th century. The modern Shirley has plenty of amenities to cater for its residents, not least along Stratford Road with its selection of shops, restaurants and supermarkets. Less than ten miles outside of Birmingham, the area is popular among people looking to work in the city. There are trains from Shirley station which take just 15 minutes to reach Birmingham Moor Street, or if Solihull station is more convenient there are services which take less than ten minutes. The district is in a great location for a range of motorways, including the M42, M40 and M6, while Birmingham Airport is only around seven miles away for when you want to go on holiday. There’s a selection of primary schools in the area for families with children to choose between, including Shirley Heath, Our Lady of the Wayside Catholic Primary and Oak Cottage Primary. At secondary level, Light Hall School is the only option in Shirley itself, although other schools in the local area include Tudor Grange Academy, Alderbrook School and Langley School. Some parts of the district collect parish precepts. Figures shown exclude these.